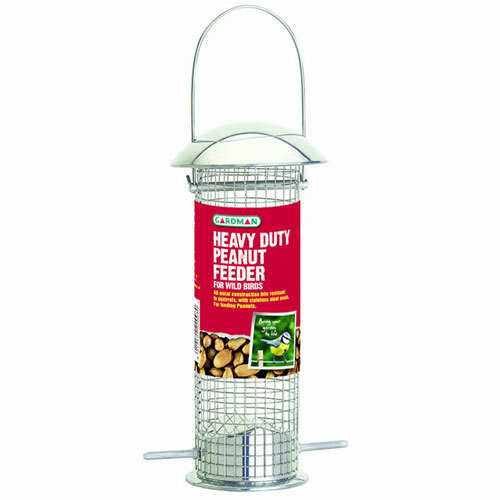 Gardman Heavy Duty Peanut Feeder for Wild Birds provides an all-metal squirrel bite resistant feeder designed to hold and feed Peanuts. A ready-to-hang wild bird feeder with stainless steel mesh and easy re-fill lift-off roof. Approx Peanut feed capacity 400g. Product endorsed by the BTO (British Trust for Ornithology).